The Fraunhofer Institute for Building Physics and ISimQ organise the SimXp seminar on 20 and 21 June 2017 in Holzkirchen (close to Munich). 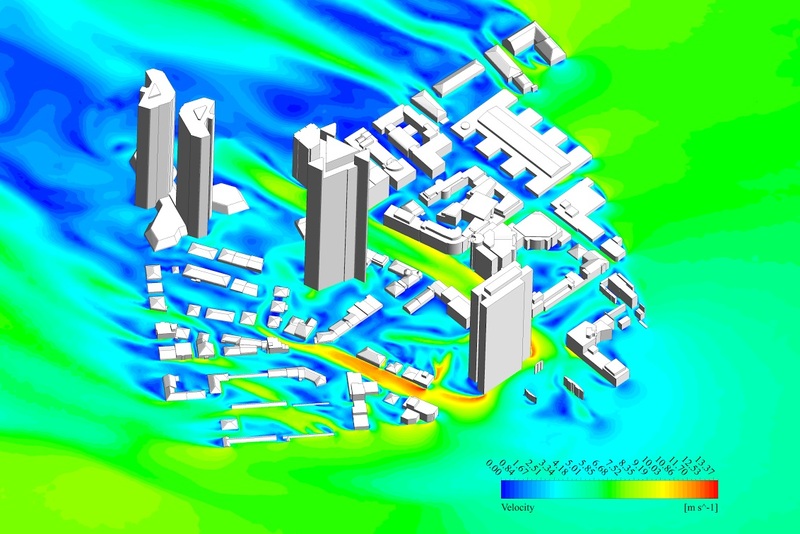 SimXp will give an introduction to the combined use of simulation and experimental technology for optimising indoor climate and energy efficiency in buildings, cars, trains, ships and aeroplanes. Presentation topics will encompass the use of computationally fast zonal methods for simulating indoor climate and energy efficiency as well as their extension by three-dimensional CFD Computational Fluid Dynamics) codes for detailed investigations and model building. Information exchange between the two simulation methods is via algorithms for model-order reduction. The experimental part will cover subjects like test design, advanced sensor and measurement technology and visits to the experimental facilities of Fraunhofer IBP like the flight laboratory. The interplay between experiment and simulation will form a key aspect of the SimXp seminar, in particular, which type of experiments and data are required to apply simulation tools efficiently. Applications will come from building and air-conditioning technology and the automotive and aerospace sector. More information is available at the SimXp website: www.simxp.de.